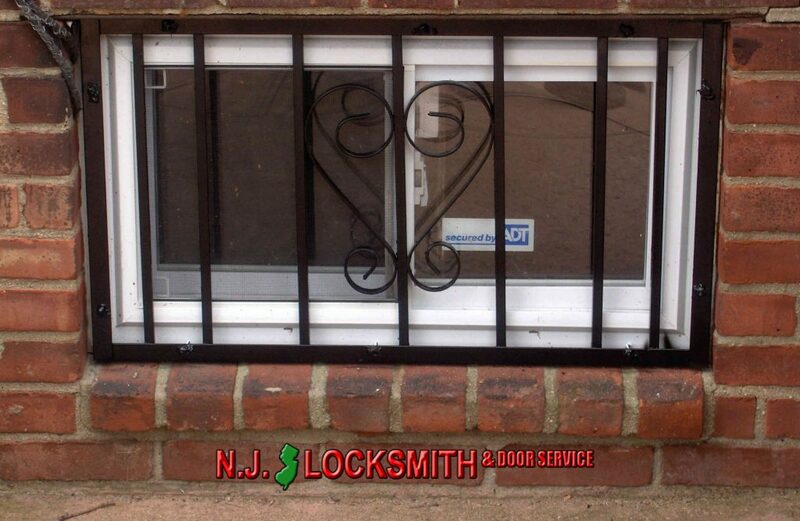 Our NJ Locksmith and Door Service Company’s window bars and gates are made of solid iron bars, not hollow tubing, to secure your property. Window security bars and gates let you guard the things most precious to you. The truth is that burglars are often in and out of your home or business before anyone responds to an electronic alarm. 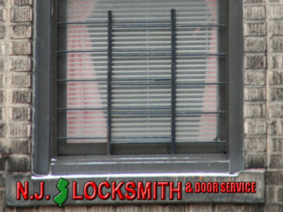 With our window security bars and gates preventing access, you don’t have to worry. When you live in the city, it’s often necessary to guard your windows and doors. 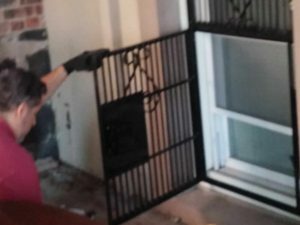 Our custom sized window bars and gates can be installed on the interior or exterior of the window, and can be painted an assortment of colors. 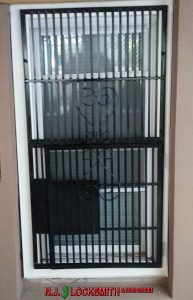 We can fabricate custom sized window bars and gates to fit any opening. 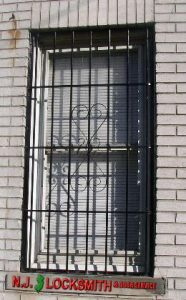 In New Jersey, the law prohibits blocking any fire escape or bedroom window. 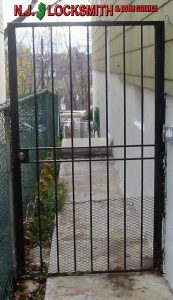 We solve that problem with Fire Department Approved Gates that can be opened from inside without a key, giving you the protection you need without sacrificing safety. 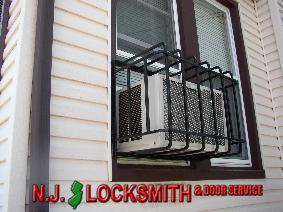 NJ Locksmith and Door Service Company also installs New Jersey approved Child Guards.